Often, although by no means exclusively, the real first clue to a fascinating nurse history is found by the auction of badge sets - sometimes (though rarely) with accompanying memorabilia. Imagine then my excitement when, casually searching ebay, I struck the most amazing seam of gold that I have seen so far. Fate was smiling upon me I thought. I was dumbstruck. A complete set of memorabilia, GNC and hospital badge, certificates (GNC, training school, midwifery training school, letters - even a signed card from WWII Field Marshall Montgomery), photographs, birth certificate et al - of Amy Ann Braddick - a hospital Matron, no less! Ann Braddick's nursing career spanned at least 37 years from the date she commenced training in 1931 at Southmead Hospital, Bristol. She finally retired as Matron of St John's Hospital, Towbridge, wiltshire, having previously been an Assistant Matron at Melksham Hospital, also in Wiltshire. She also served during WWII as a member of QAIMNS(R) (Queen Alexandra's Imperial Military Nursing Service) with the 21st British Army Group. Happily as it has turned out, as the collection went to a possible relative of Ann Braddick who lives in Canada, and who has kindly supplied and allowed the use of his material, including his own photographs from the auctioned Lot. He is currently researching, with the aid of our own Sue Barker (researching the Civilian Nursing Career), Miss Braddick's history. We hope to publish this later here on schoolsofnursing as he has volunteered that too. A gentleman. I say that I lost the auction 'happily' for a simple reason. Acquiring the belongings of a person which are wanted by a relative is not a way in which I would want to be seen to behave! If someone bought your mother's wedding ring at auction, unless you were the seller, how would you feel?.... Need I say more? One of the problems at auctions is that you may never know who you are bidding against, whatever your personal feelings. We will be adding the photographs of Ann Braddick's memorabilia, badges and WWII campaign medals to our website gallery in the near future. The available records for Melksham Hospital contain only one reference to AAB i.e. that of her resignation. There are no photographs of the hospital and no evidence to show when AAB began her employment there. However reference to length of service in the 1967 Minutes for Bradford-on-Avon Hospital indicates she started her job at Melksham in about 1947. This would have been at the Spa Road building, constructed in 1938. The Minutes below show AAB ceased her employment at Melksham as Assistant Matron on 31st December 1950. She started her new job as Matron of Bradford-on-Avon Hospital the following day. Note 81(a) is evidence of the reasonably small size of Melksham hospital, with 108 admissions and 98 discharges over a 2 month period. The minutes of the League of Friends of Bradford-on-Avon Hospital demonstrate how highly AAB was regarded at the time of her retirement in 1967. The £50 collected for her leaving gift would have been the equivalent of at least £700 today. Extracts from the available records at Wiltshire and Swindon Archives. (a) Statistics. Period 1st October to 30th November, 1950. Operations – 10 major, 11 intermediate, and 56 minor. (e) Sister A.A. Braddick. That the Management Committee had appointed Sister A.A. Braddick, Assistant Matron of the Hospital, as Matron of the Bradford-on-Avon District Hospital, with effect from the 1st January, 1951. On behalf of the Sub-Committee, The Chairman congratulated Sister Braddick on her appointment, and wished her well in her new sphere of duty. At a meeting of the Bradford-on Avon District and Maternity Hospitals Sub-Committee of the West Wilts Hospitals Management Committee, held at the Bradford-on-Avon District Hospital, on Tuesday, the 12th December, 1950. 107. Appointment of Matron. It was reported that the Management Committee had confirmed the appointment of Miss A. Braddick, Assistant Matron of the Melksham Hospital, as Matron, with effect from the 1st January, 1951. The Chairman introduced Miss Braddick and welcomed her on her first attendance at a meeting of the Sub-Committee. (a) Staff. 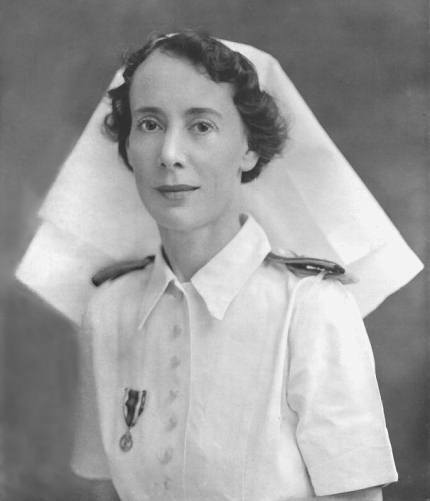 Miss Braddick reported that she was endeavouring to obtain trained nursing staff with a view to re-opening the Hospital on the 1st January 1951. Two answers only to advertisements had been received and although numerous enquiries had been made, so far no appointments had been made. Resolved:- That this matter be referred to the Building Sub-Committee. (a) Bradford-on-Avon Hospitals House Committee (7th March, 1967). Retirement of Miss A.A. Braddick, Matron, Bradford-on-Avon district Hospital (Minute no.8 refers). The Committee noted the appreciative remarks of Mr Barrow on the excellent service rendered by Miss Braddick, in his report on the presentation ceremony to her at the conclusion of the last meeting of the House Committee. At the conclusion of the meeting, the Chairman of the Management Committee made a presentation to Miss Braddick on the occasion of her retirement following a period of service as Matron extending over 16 years and also service as Deputy Matron at Melksham Hospital making a continuous period of service in the group extending over 19 years. The Chairman in wishing Miss Braddick a long and happy retirement paid tribute to the wonderful service she had rendered to the Hospital and the residents of the area it serves. Mr Barrow also spoke in appreciation of the cooperation he had received from Miss Braddick at all times. Miss Braddick thanked the Committee for the generous gift and thanked the members for their loyal support and help at all times. She had been most happy in her work. She also expressed appreciation of the help and cooperation she had always received from the Group Secretary and his Staff. Presentation to Miss A.A. Braddick. It was reported that the Matron of the District Hos. was retiring on the 31st March. It was proposed by Mrs Harries that £20 to £25 should be spent on a gift. Mr Sawyer seconded this motion and approved that the money should come out of the funds. This was agreed unanimously. Mr President then turned to the subject of Matron’s retirement and said there was a great deal of sorrow felt at Miss Braddick’s leaving the Hospital after over 16 years of service. He had not had any experience of Matron’s professional service but from hearsay he had heard how wonderful she had served the Public. Mr President asked if anyone would like to add their comments. Mr Chrystal said he had not been unfortunate to have been a Patient but as a member of the Sub-Comm and its Chairman, he could not speak too highly of Miss Braddick’s calm and practical sense. She had done a wonderful job – we are very much the poorer for her going; but he personally wished her a happy retirement. Mrs Thomas reminded the Committee that when the Hospital was on fire Matron did everything she could for the Patients welfare and also that she had an Outpatients department working by 4pm. Mrs Moulton said she was very sorry that Matron was going. Miss Kirkham, the Matron of Berryfield said she was very sorry that Matron was going. Mr President resumed his address by thanking the people who had spoken words in praise of Matron. He now had much pleasure in presenting Matron with a Gift from the Town’s people and the Committee Members. Note of Thanks. Matron was extremely pleased to receive a Crocodile Skin handbag and a cheque. She thanked everyone for this wonderful gift which was just what she wanted. She thanked the League of Friends for the great help they had been to her, and thanked everyone for the nice things they had said about her. She would come back to the town occasionally and pay visits. Mr President thanked the officers and Committee. Presentation Gift to Miss A.A. Braddick. It was reported that this gift had not been bought with the Funds of the League. Mrs Rodway, with the Treasurer and Secretary had decided that this action did not conform to the Rules of the Constitution. There had been a Public Subscription in the town and each member of the Committee had donated various sums from 10/- to 2gns 1. The amount had totaled £50 approx. Mr Barrow reported that 18/6d 2 which had remained from the House Committee’s subscription Fund had been transferred to the League account. Matron would receive a cheque for the amount outstanding in due course. Pre-decimalisation of the UK currency in 1971, there were 20 shillings in £1 and 12 pence in 1 shilling. A guinea was £1 and 1 shilling. Sister Braddick, Assistant Matron, has resigned, and will be leaving here on the 31st December. Trained at Southmead Hospital, Bristol. QAIMNS( R), a retirement letter, and more. Devonshire, England; occupation: agricultural labourer. Place of Death: Yeovilton, Somerset, England. - named after her mother; had 6 sistersand 2 brothers. - 45507 A.CPL G. BRADDICK. R.
for the General Register of Nurses”. renamed as the Queen Alexandra's Royal Army Nursing Corps. Group, British Army of the Rhine. British Army of the Rhine. Hospital Kitchen; and Matron’s Office.